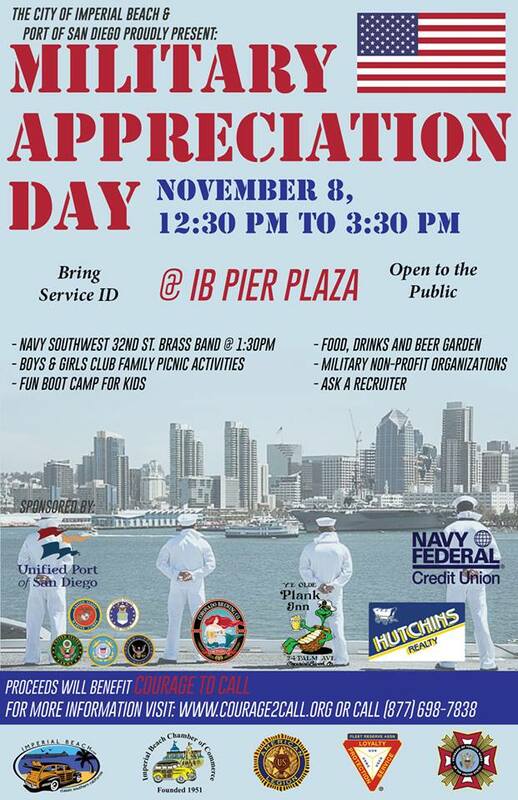 The City of Imperial Beach and the Port of San Diego Proudly Present Military Appreciation Day on Sunday November 8th at 12:30pm at the IB Pier Plaza. I have heard that a lot of the non-profit organizations in Imperial Beach plan on doing something to participate as well for Military Appreciation Day and those events will be added as we get more information on them. They plan to work with the City and Port and not be separate events! The Boys and Girls Club of South County said they plan on doing something and I know the Imperial Beach Chamber of Commerce plans to help and join in with Military Appreciation Day!